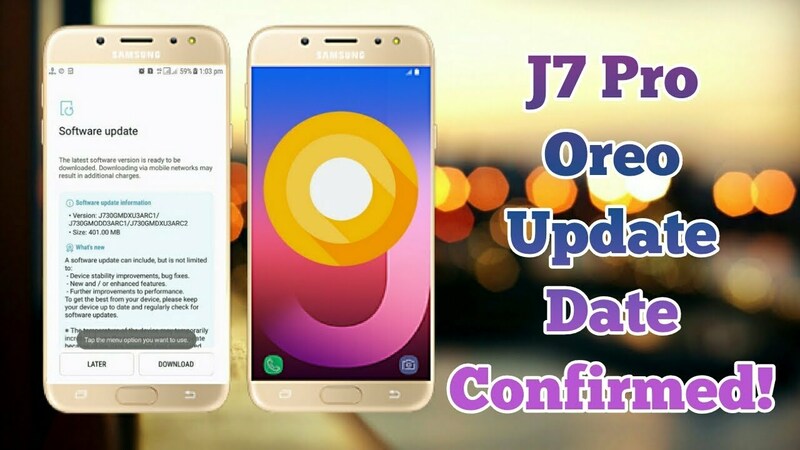 In India, the Android 8.1 Orio update for Samsung Galaxy J7 Pro has been released. Recall that the Samsung Galaxy J7 Pro was launched in June last year. Since launch, the Galaxy J7 Pro was running on Android 7.0 Nouga. Let us know that the new updates to the Galaxy J7 Pro are based on the report. According to the information, updates to the Indian user will be available through over-the-air (OTA). The update will come with September 2018 security patches According to Sammobile's report, the version number of the Android 8.1 OSO update released for Galaxy J7 Pro is J730GMDXU5BRJ2. Recall that a report appeared in July, stating that the Galaxy J7 Pro, Galaxy J3 (2017) and Galaxy J5 Pro will be available until September 2018. Samsung still has many such smartphones that have not received Orio updates. At present Galaxy J3 (2017) and Galaxy J5 Pro have no news about updates. You can check the Samsung Galaxy J7 Pro user updates by going to Settings> Software updates. It is advisable to back up the data before updating the phone, as well as using high-speed data or WiFi to update the phone.